Dimensions : 4.25" x 1.75 " x 1.20"
Products - Level 8 Technology's NEW 65W HP Compaq nc6000 laptop AC adapter rated at 18.5V 3.5A. 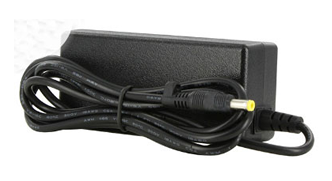 Replacement laptop AC adapter is guaranteed to meet or exceed original HP Compaq nc6000 laptop AC adapter specifications. This 65W ac adapter by Level 8 Technology can be safely used to replace 60W (3.2A) and 50W (2.7A) ac adapters. AC adapter is supplied with a U.S. 3-prong power cord. Level 8 Technology's replacement HP Compaq nc6000 AC Adapter - HP Compaq nc6000 Laptop AC Adapter is 100% compatible with the following notebooks. Battery is also available for highlighted models.